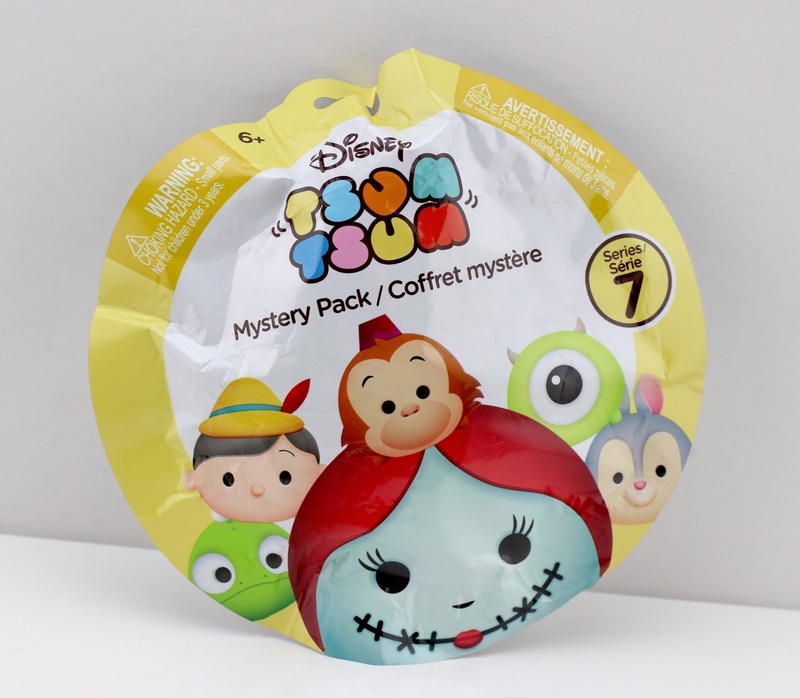 As of a couple weeks ago, SERIES SEVEN of the popular Tsum Tsum Mystery Stack Packs by Jakks Pacific officially started hitting store shelves across the US. If you've followed along with my posts since early this year, you may know that I've gotten really into collecting these guys (see my original post on how I got hooked); so yes, I was super excited when these finally hit my area not too long ago! 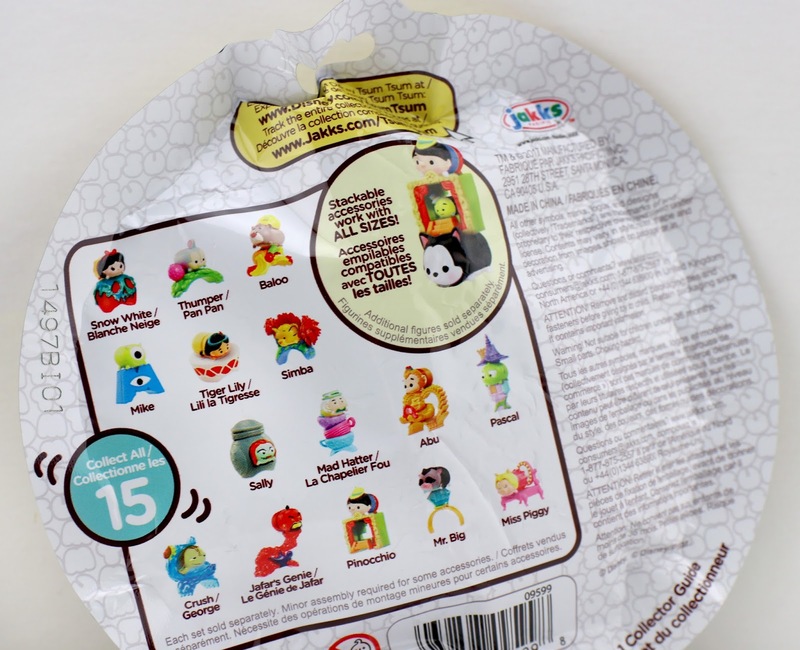 In this, the newest series, there are 15 Disney/Pixar characters to collect: Snow White, Mike Wazowski, Tiger Lily, Crush, Thumper, Miss Piggy, Baloo, Mr. Big, Pascal, Sally, Abu, Mad Hatter, Pinocchio, Simba and Jafar's Genie. Of course, like usual, I'm only interested in finding the Pixar characters and that's exactly what I did! 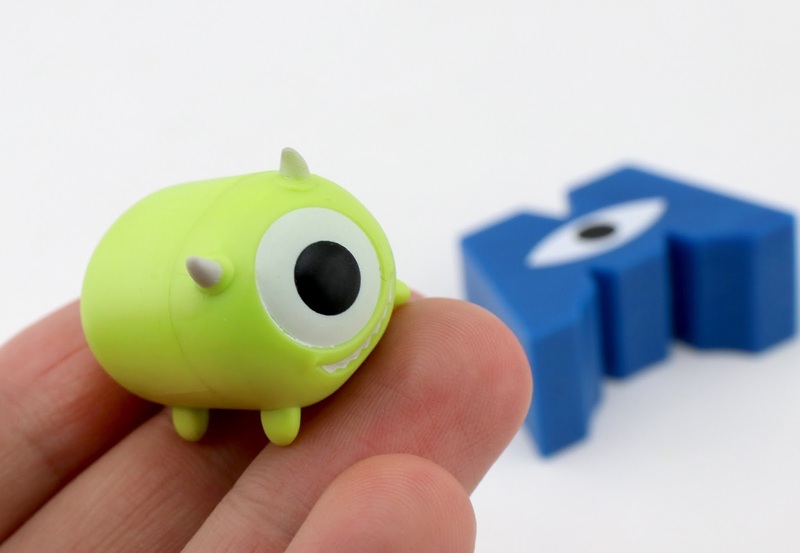 This time there are only two and I was able to track down both Crush (Finding Nemo) and Mike Wazowski (Monsters Inc.) this past week over the course of several toy runs. Below is one of the cases I found at Toys R Us. It took me a couple other visits to some other stores before I was able to find and snag both of the ones I was looking for, but I prevailed. These have been showing up at Targets as well. Note- If you missed my posts on the previous six series, I'd recommend checking those out before moving on: SERIES TWO HERE, SERIES THREE HERE, SERIES FOUR HERE, SERIES FIVE HERE and SERIES SIX HERE. As always, the adorable accessories/display stands are really what make these worth it to collect for me. These ones are especially cute. 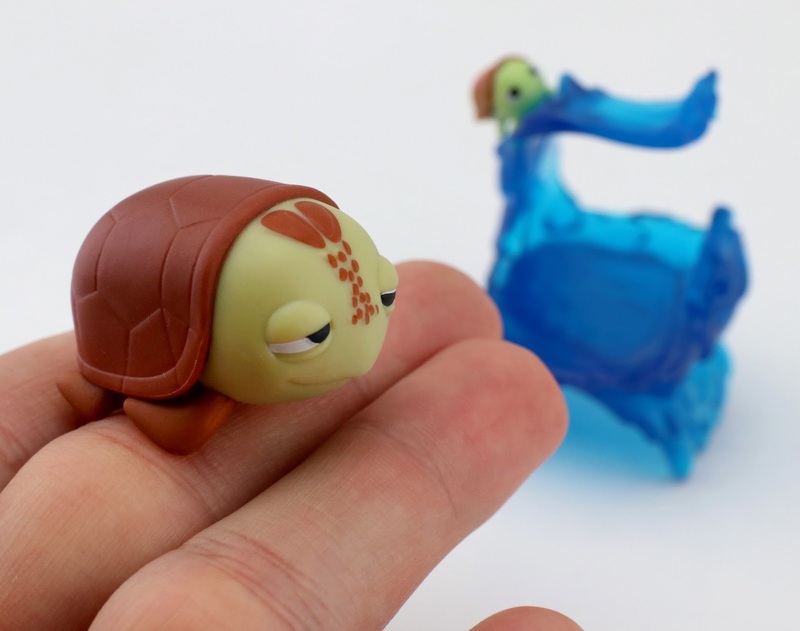 I absolutely LOVE Crush's "ocean wave" display piece and that tiny little Squirt on it as well (not removable). 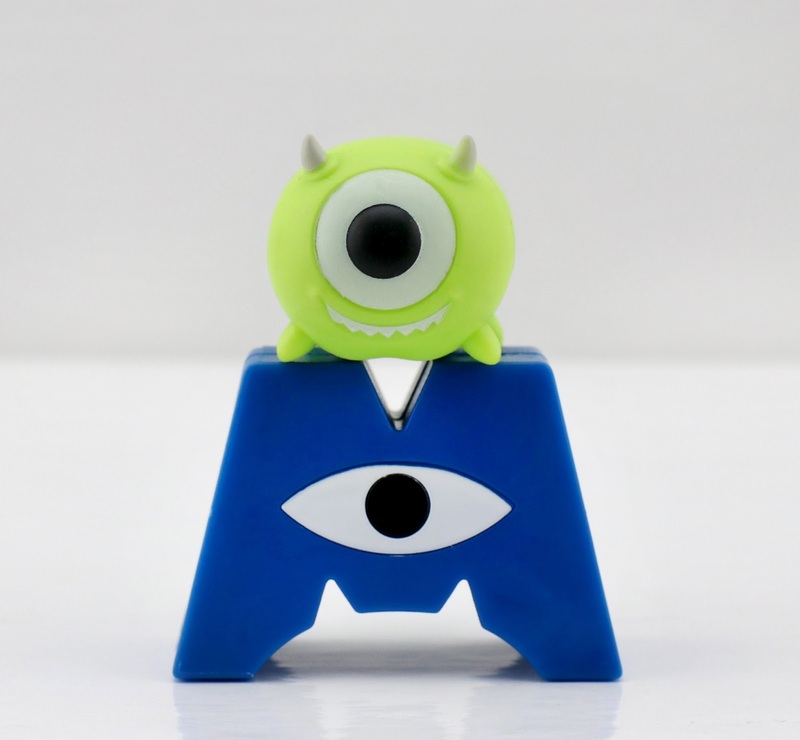 Mike with the Monsters Inc. logo is really fun to have too! And don't forget, these are blind bags—so you don't really know who you're gonna get until you open them up. However, you can obviously try and feel for whoever you're looking for. That's all I do and I've nailed it each time (standing there feeling each bag can be tedious and take up a bit of time though). 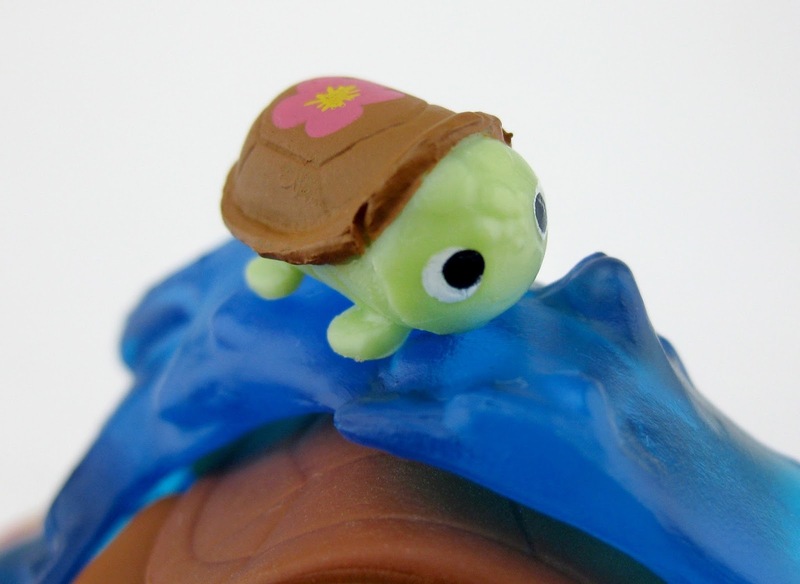 Note- The attached tiny Squirt is less than half an inch in size. Talk about adorable! Totally sweet. Check them all out in my detailed photos below! There you go guys! Best of luck on the hunt if you're looking to add these ones (or any from this series) to your collection. 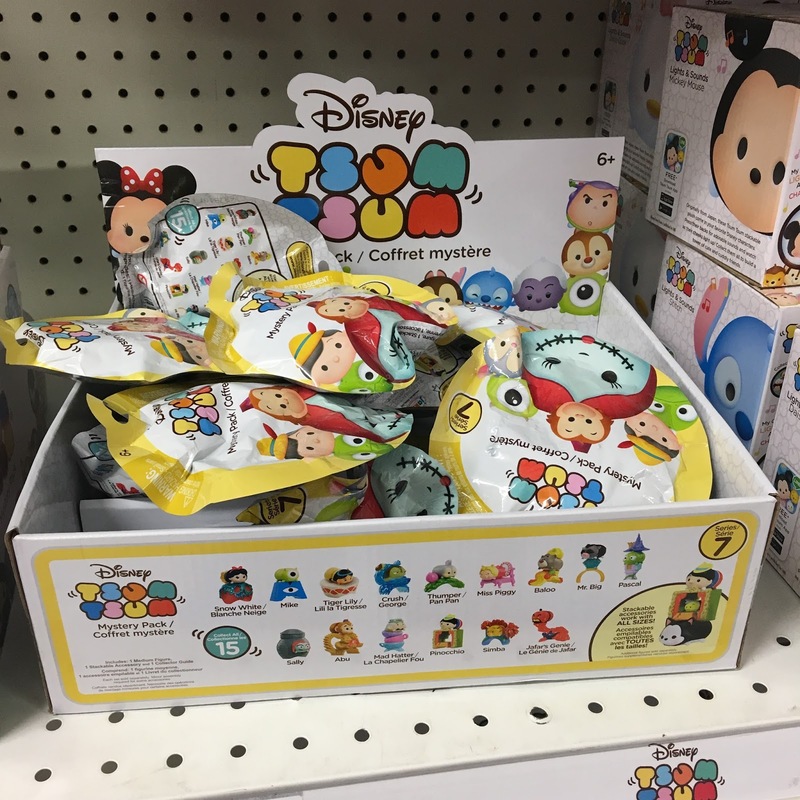 Again, Target and Toys R Us stores are your best bets right now to find them—so head to yours ASAP to check for availability! And by the way, look forward to SERIES 8 to hit in either October or November (it's usually about two or three months between series). 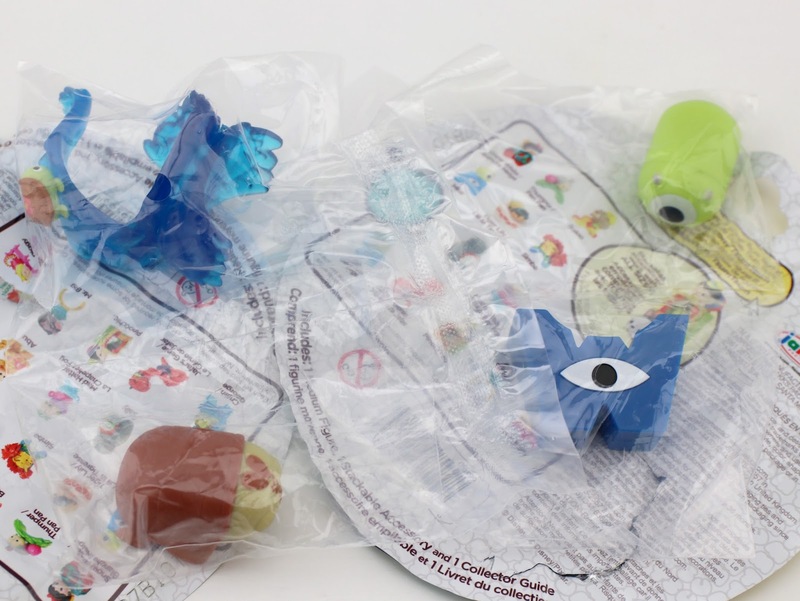 Can't wait for that Flik/Heimlich/candycorn pack and the Lightning McQueen with Piston Cup! Check out the sneak peek HERE.